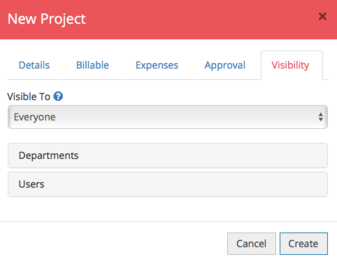 You can add new projects to your account from the Admin section. 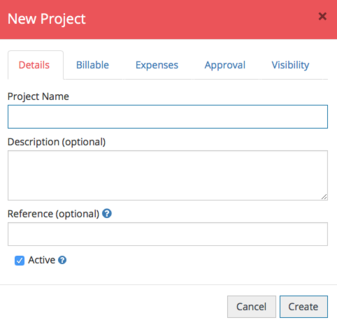 Projects can be added individually or you have the option to import your projects. 1. From Admin, click Projects. 2. Click the New Project button. 3. On the Details tab, give the project a name. 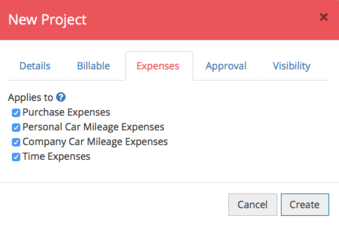 You can also add an optional description which the user can see if they click View Projects on the expense form. 4. The Reference field allows you to add a reference or code that can be used to map to any external system you wish to import into. 5. You can tick whether you wish the projects to be visible or not to your users. You can still report on inactive projects. 6. Navigate to the Billable tab. Here you can decide whether the project is billable or not. 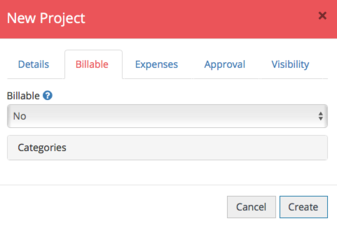 You have the option to assign billable specifically to certain categories. In the dropdown, choose Depends on Category and tick the categories. Please note: If you do not want your users to be able to decide whether the expense is billable or not, you can turn off this access in the Advanced Settings. 7. Navigate to the Expenses tab. Here you can decide where the project should be applied to. 8. Navigate to the Approval tab. Here you can assign an approval flow to the project. You must have already created the approval flow in order to assign this to the project. 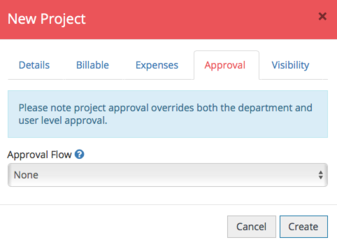 Please note: Project level approval flows take priority over department level approval flows and user level approval flows. 9. Navigate to the Visibility tab. This is where you can decide which of your users, departments or user groups are able to access this project on their expense form. Once you're happy, click Create to add that project to your account.